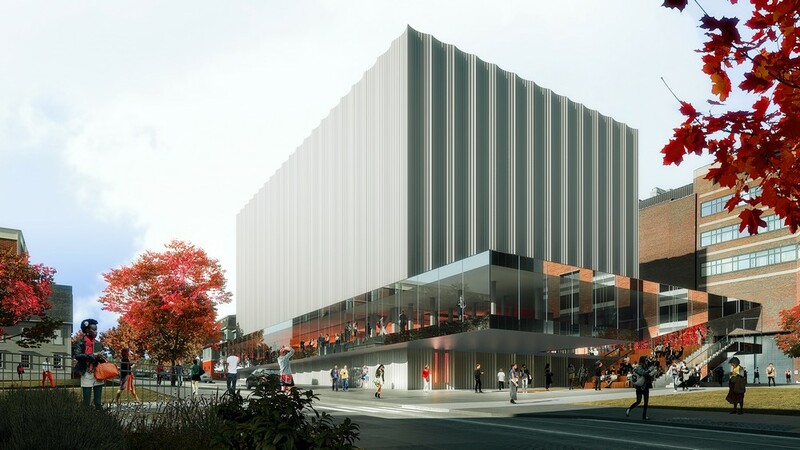 With a radical, one-of-a-kind approach to spatial, acoustic and technical flexibility, Brown University’s planned Performing Arts Center (PAC) is designed to inspire innovative new art-making, enable unprecedented artistic collaboration and serve as a hub for performance at Brown. The award-winning firm based in New York City, has been selected by the Corporation of Brown University as the architect for Brown’s new performing arts center (PAC) to be located in the heart of the College Hill campus. Design revealed for the new performing arts center, located at the World Trade Center site. Set to open in 2020, The Perelman Center building will produce and premiere theater, dance, music, film, opera, and multidisciplinary works while offering a range of amenities for visitors and residents in the Lower Manhattan community. 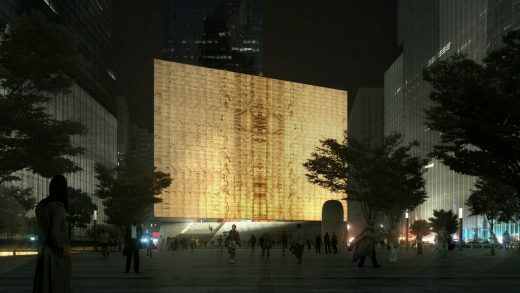 20 Nov 2015 – REX has won the invitational to design PACWTC, an approximately 80,000 sf building that will serve as a major new addition to New York’s cultural landscape, producing and premiering works of theater, dance, music, musical theater, opera, and film, as well as productions that cross multiple disciplines. Another intriguing building located in the Yongsan International Business District, alongside a series of major new buildings designed by world-famous architects. Block R6 is a narrow parcel bounded by the planned Mountain Park and the central park of the planned development. Six stunning designs for the V&A at Dundee project have been unveiled. Over 120 architect and design teams from around the world made submissions to the design competition for the V&A at Dundee project. REX and Principal in Charge Joshua Prince-Ramus have been named the winner of the BibLLLiotheek competition to build a “Library of the Future” for the city of Kortrijk, Belgium. REX partnered with landscape architects Bureau Bas Smets in entering the competition, which included both a building and master plan. The landmark Museum Plaza project is a $490 mskyscraper that will transform the city’s skyline. Designed by a world-renowned team led by Joshua Prince-Ramus and Erez Ella, Museum Plaza is a 62-story skyscraper with an innovative design and mission, combining arts, commerce and residential space. REX was Design Architect for the Dallas Center for the Performing Arts Dee and Charles Wyly Theatre, Dallas, Texas. REX was also responsible for the Istanbul headquarters for Vakko, designed by REX for Turkey’s preeminent fashion company. Architecture P.C. was one of three finalists in the Munch Museum competition in Oslo, Norway, and one of five finalists in the Sitra Low2No competition in Heslinki, Finland. 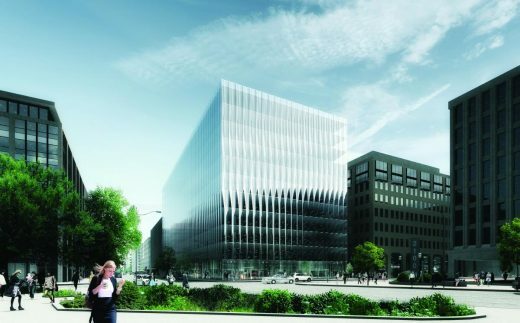 REX is also Design Architect for Museum Plaza, a 62-story, mixed-use building in Louisville, Kentucky. Joshua Prince-Ramus was a founding partner of OMA New York – the American branch of the Office for Metropolitan Architecture (OMA) – and served as its director until he renamed the firm REX in 2006. In 2005, the Seattle Central Library was awarded the top honors bestowed by the American Institute of Architects. January 21, 2019 in Architects.